. . . work hands-on with the tools of the digital filmmaker’s craft! 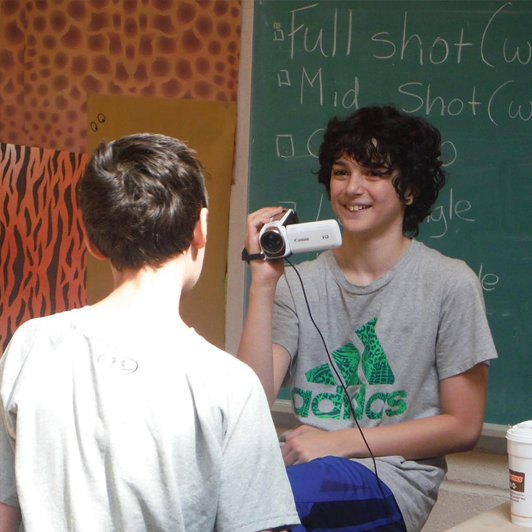 They will discover how to master the skills they’ll need to develop their ideas into actual working scripts, discover and deploy a range of digital camera angles as they film their scenes, cut in scene-stealing special effects and take charge of the digital console to edit their scenes together to capture their unique vision! 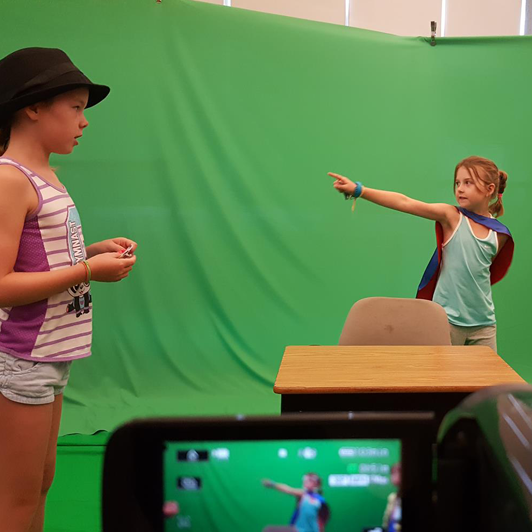 These programs, created for 3rd-5th and 6th-8th graders of all skill levels—beginners to advanced–take the art of digital filmmaking and put it into your child’s hands! 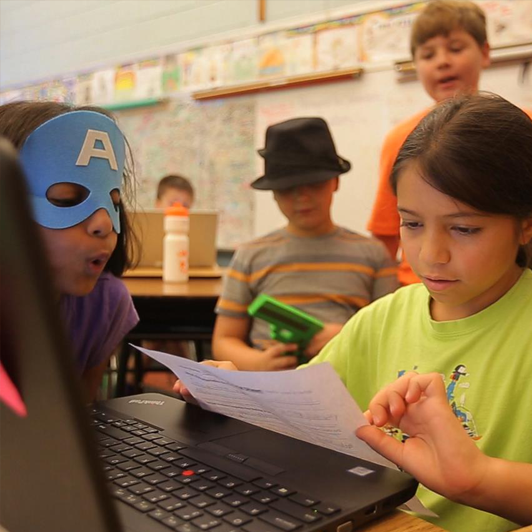 Our labs and camps combine the real fun of digital creation and imagination with the real discovery of practical uses for their emerging literacy, design and critical – thinking skills. Update for This Term: While we currently have no scheduled labs of this type for this age group, no need to wait! Your child & their friends can either join us for a scheduled afterschool lab in one of our other programs. . . or have their own private lab with friends at a convenient location you’ve arranged. CLICK HERE to discover how.